Welcome to Volume 2 of Kids’ Quest Catechism Club. Using accounts from the Bible of God’s work in the world to help the children understand God’s character and other abstract theological truths, this volume covers First Catechism questions 58–108. Music, games, art, written activities, and a lot of repetition reinforce teaching and help children memorize answers to the questions. Volume 2 is divided into three units. The first unit, questions 58–67, focuses on saving faith. As children learn the meaning of repentance, faith and belief, they learn that to be saved, they must repent of their sin and believe in Christ as their Savior. God’s people who lived before Jesus was born believed God’s promise to send a Savior and showed their faith by offering the sacrifices God required. God kept his promise and sent the perfect and final sacrifice, Jesus Christ, to pay the penalty for the sins of all of his people. 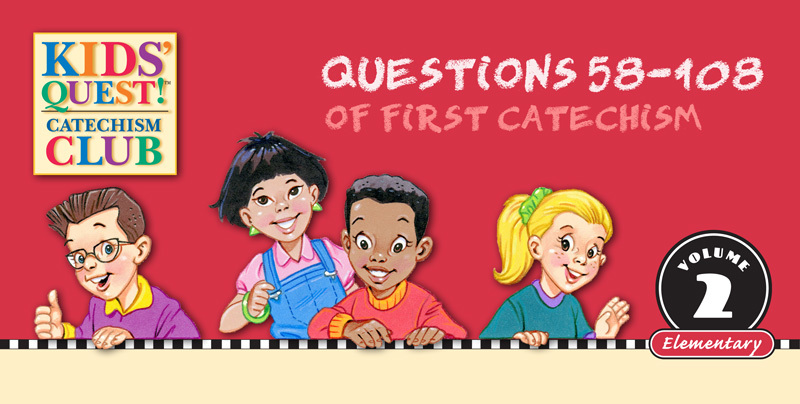 In the second unit, questions 68–75, children learn that Jesus Christ is our prophet, priest, and king. Christ our prophet teaches us the will of God, Christ our priest sacrificed himself to pay the penalty for our sins, and Christ our king rules over us, the world, and he defends us from the power of Satan. The third unit is a study of the Ten Commandments. As children memorize questions 76–108, they learn that Jesus’ two great commandments—to love God with all your heart and your neighbor as yourself—summarize the Ten Commandments. The first four commandments focus on our relationship with God, and the last six teach us how to relate to other people. 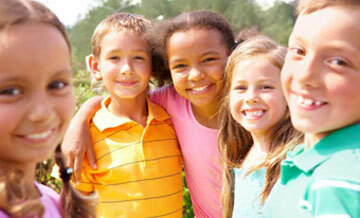 Children learn that we are to show love and respect to everyone because every person is an image-bearer of God. The Ten Commandments reflect God’s holy character and are our standard of conduct. Children are reminded in every lesson, however, that we cannot be saved by obeying the Ten Commandments, for we cannot obey them perfectly. That is why Jesus came. He perfectly obeyed God’s law in our place, died to take the punishment we deserve for our sin, and rose from the dead in victory over sin and death. Welcome to Volume 2 of Kids’ Quest Catechism Club.